A single car rollover crash on State Route 299 left an unidentified hitchhiker dead on Thursday and a 21-year-old Eureka woman jailed on suspicion of vehicular manslaughter. 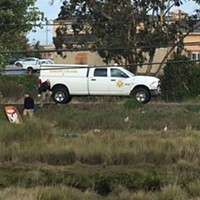 According to the California Highway Patrol, Adrian Pollock was driving eastbound in her 2008 Dodge pickup with her two young children, her husband, a friend and a hitchhiker shortly after 6 p.m. For unknown reasons, Pollock lost control of the vehicle on a curve and the pickup overturned. The hitchhiker, who was seated in the right front seat, was apparently not wearing a seatbelt was ejected from the vehicle. He sustained fatal injuries. DUI is not believed to be a factor in the crash, but Pollock was arrested on suspicion of vehicular manslaughter and booked into the Humboldt County jail, according to the CHP press release. Last year, Humboldt County recorded 28 vehicle related fatalities, three shy of the record set in 2009 and equaled in 2012. This was at least the ninth roadway death recorded so far this year. 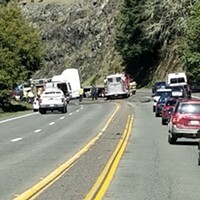 On Thursday, June 16, 2016, at 6:09 pm, 21 year old Adrian Pollock of Eureka, CA, was driving her 2008 Dodge pickup eastbound on SR-299 at the East Fork Campground, just west of Willow Creek. Her passengers were her two young children, her husband, her friend, and a hitchhiker. For reasons still under investigation, Ms. Pollock lost control of her vehicle in a left hand curve and ran off the south roadway edge of SR-299. The pickup overturned and the hitchhiker, seated in the right front seat, was fully ejected and sustained fatal injuries. All surviving occupants were transported to Mad River Community Hospital in Arcata with minor injuries. The children were properly seated in child passenger safety seats and were uninjured. Ms. Pollock was subsequently arrested for vehicular manslaughter and booked into the Humboldt County Jail. The identity of the deceased passenger is withheld pending notification of family. DUI was not a factor. The roadway was not closed. The vehicle was not impounded. 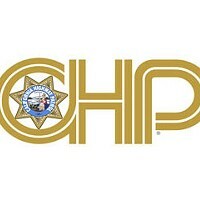 The California Highway Patrol (CHP) Humboldt Area is investigating this traffic collision.